It all started with “Hosanna”. Jesus and His disciples were on their way to Jerusalem to celebrate Passover, a very important holiday for the Jewish people. It is at Passover that Jews celebrate their freedom from slavery in Egypt. God’s people had been slaves in Egypt for generations. What began as an invitation by Pharaoh for Joseph and his family to share the Egyptian land turned into fear. Joseph and all of his brothers had died and a new Pharaoh came to power. He saw how numerous the Israelite nation was and was worried that the Israelites would someday side with Egypt’s enemies in a war…and he would be out of a job, or worse yet, killed. To prevent this from happening the Egyptians became slave masters over God’s people and forced them to hard labor with little or no pay. They lived this way for over 400 years until God provided a way out for them. One night the Israelites were instructed to kill a lamb without any deformities and paint its’ blood over the doorposts of their home. The angel of death visited the land of Egypt that night and killed every firstborn son. Those with lamb’s blood on their doorpost would be spared. That very night God’s people left Egypt under God’s protection and found freedom from the Egyptians. They were no longer slaves but were free to worship their Lord in their own land. Every year this freedom is remembered and celebrated in the homes of Jewish families and for some it is a time of pilgrimage to Jerusalem, the geographical center of the Jewish faith. This was also true in Jesus’ time. 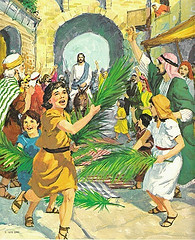 As Jesus entered Jerusalem on a colt that day He was celebrated. 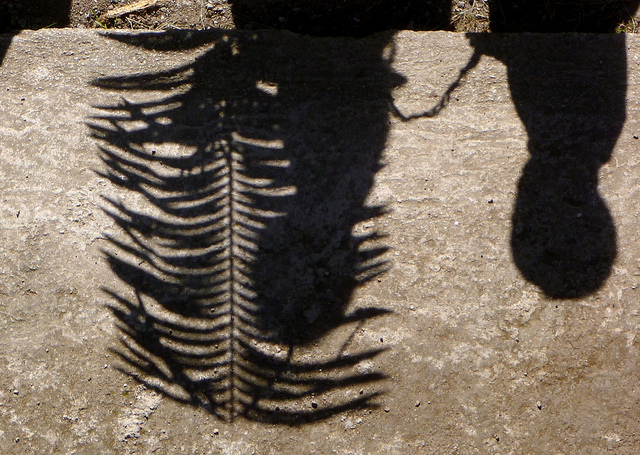 People waved palm branches and laid them and garments on the ground for His donkey to walk on. This was a custom when welcoming someone of high honor. Only Jesus knew the truth of what this week held. He would perform more miracles and teach His disciples more about loving, serving, and sacrifice. But riding on that donkey Jesus knew many of the same people singing His praises would desert Him. They wouldn’t understand the sacrifice He was about to make that would give them a new freedom. And Jesus knew He would give His life for each one of them. Jesus’ life had been perfect (just as the lamb at the Passover celebration) so He was the only one who could serve as a sacrifice for us. While He disagreed with the religious leaders and some of the laws of the land Jesus never sinned. He took with Him to the cross the sins of every man, woman and child who ever lived or ever will live. It can be easy to praise God and welcome Jesus as leader of our lives when we see miracles and other good things happen in our lives. It’s also easy to turn away from Him when we don’t understand how He will bring good from a difficult situation. As we enter Holy Week and reflect on the last days of Jesus before His ultimate sacrifice may we examine our hearts and ask ourselves if we believe without reservation. Will we stand and proclaim Jesus is Lord through it all?